Having Facebook page is a must-have requirement for business. There are different ways how to help people find your business on Facebook. It is difficult even more since Facebook is constantly adding new features. 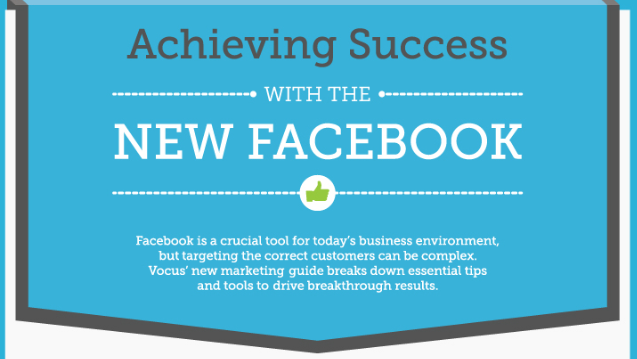 The below infographic - "Achieving Success With The New Facebook" includes Facebook’s latest features so you can follow your options for Facebook marketing. It’s kind of like a checklist to help you choose the right Facebook promotion for your brand.